TolumiDE’s full length project, My Love, and simply put, it’s a stunner. Exposing all the musical sides of the artist, My Love is power-packed with one great track after another. The industry has already been abuzz about the singer’s lead single, “My Love”, a funky, infectious pop and urban tune about the artist’s eternal Love. The single’s video, directed by Tayo Abereoje for Black Royal Pictures, has also caught the attention of fans and gospel industry insiders alike with thousands of views on countless video websites. With a thick back beat and a striking urban groove, the hot cut is easily radio ready for Urban AC & Gospel programming. She uniquely packages inspirational messages with brilliant songwriting, flawless production and riveting vocals. 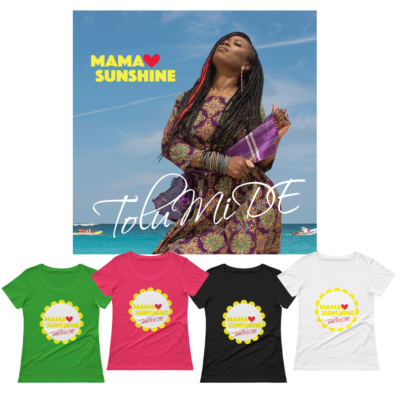 Throughout the eleven tracks, all penned by the artist herself, TolumiDE bares her musical soul and takes the listener on an emotive and telling journey of her life. Her first full length project, My Love, and simply put, it’s a stunner. Exposing all the musical sides of the artist, My Love is power-packed with one great track after another. The industry has already been abuzz about the singer’s lead single, “My Love”, a funky, infectious pop and urban tune about the artist’s eternal Love. The single’s video, directed by Tayo Abereoje for Black Royal Pictures, has also caught the attention of fans and gospel industry insiders alike with thousands of views on countless video websites. With a thick back beat and a striking urban groove, the hot cut is easily radio ready for Urban AC & Gospel programming. ©℗ 2010 TolumiDE (SOCAN). ALL RIGHTS RESERVED. ©℗ 2010 Tolulope Olumide Yeboah, TolumiDE (SOCAN) All Rights Reserved. Written by Tolulope Olumide Yeboah – TolumiDE (SOCAN). Produced by Terry Poindexter – Twenty Music (BMI). All Vocal Production by TolumiDE. Backing vocals – Terry Poindexter, Recorded at Twenty Music Studios, Memphis, TN. Guitar – Greg Gaven. Percussion by Kevin Prince, recorded at Invisible Arts Lab, Washington, DC. Knowing that you have plans to proper me and not to harm me. 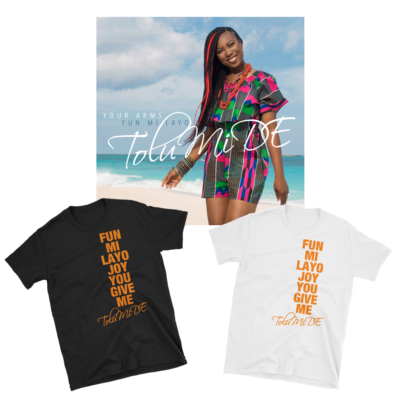 Written by Tolulope Olumide Yeboah – TolumiDE (SOCAN), Produced by Terry Poindexter – Twenty Music (BMI). All Vocal Production by TolumiDE. Recorded at Twenty Music Studios, Memphis, TN. Written by Tolulope Olumide Yeboah – TolumiDE (SOCAN). Produced by Terry Poindexter – Twenty Music (BMI). All Vocal Production by TolumiDE. Guitar by Josh Threlkeld. Recorded at Twenty Music Studios. We are meant to be, Yes indeed! Written by Tolulope Olumide Yeboah – TolumiDE (SOCAN). Produced by Blaise Tangelo – KMC Music Factory (ASCAP). All Vocal Production by TolumiDE. Recorded at X-Posure Entertainment Studios. And I’m alright, Yes I’m alright. Written by Emmanuel “Oba” Finette, Tolulope Olumide Yeboah – TolumiDE (SOCAN). Re-produced by Blaise Tangelo, Guitar by John Bashengezi, recorded at X-Posure Entertainment Studios, Bowie, MD. Original production by Olutona “Big Lu” Ogunfiditimi, Morayo “Momo” Ogunfiditimi & Tolu Olumide. Percussion – Uwem Bassey. Together we must stay until redemption shall meet. It will bring stone and fire so don’t you go under. You cook Jollof rice and I’ll fry the Plaintain. Written by Tolulope Olumide Yeboah, Michelle Swan, Mary Shapiro, Erik “EZee” Dennis, Mark Baker. TolumiDE (SOCAN). Produced by Erik “EZee” Dennis, Mark Baker & Tolulope Olumide Yeboah. Recorded at Kingdom House Studios, Baltimore, MD. Guitar by John Bashengezi, recorded at X-Posure Entertainment Studios. Written by Tolulope Olumide Yeboah, Erik “EZee” Dennis, Mark Baker – TolumiDE (SOCAN). Produced by Erik “EZee” Dennis, Mark Baker & Tolulope Olumide Yeboah. Recorded at Kingdom House Studios. Guitar by John Bashengezi, recorded at X-Posure Entertainment Studios. Making fine times of the scarce times framing time into a glass. Sharing knowing that you may never ever get the good things back. You can be, earth has found of one her treasures in your heart. 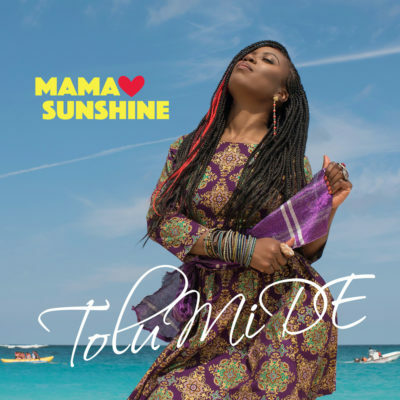 Written by Tolulope Olumide Yeboah, Erik “EZee” Dennis, Mark Baker – TolumiDE (SOCAN) Produced by Erik “EZee” Dennis, Mark Baker & Tolulope Olumide Yeboah. Recorded at Kingdom House Studios. Guitar by John Bashengezi, recorded at X-Posure Entertainment Studios. How can I when God said that the man (my spouse) will find me. Heavenly father, Help me with my feelings. Maybe he needs some time to figure out what he need. Give him his space and be a good friend to him. ©℗ 2010 Tolulope Olumide Yeboah, TolumiDE (SOCAN). All Rights Reserved. Written by Tolulope Olumide Yeboah – TolumiDE (SOCAN). Piano by Jide Adebule. Violin by Marcia McIntrye., recorded at Kingdom House Studios by Erik Dennis. 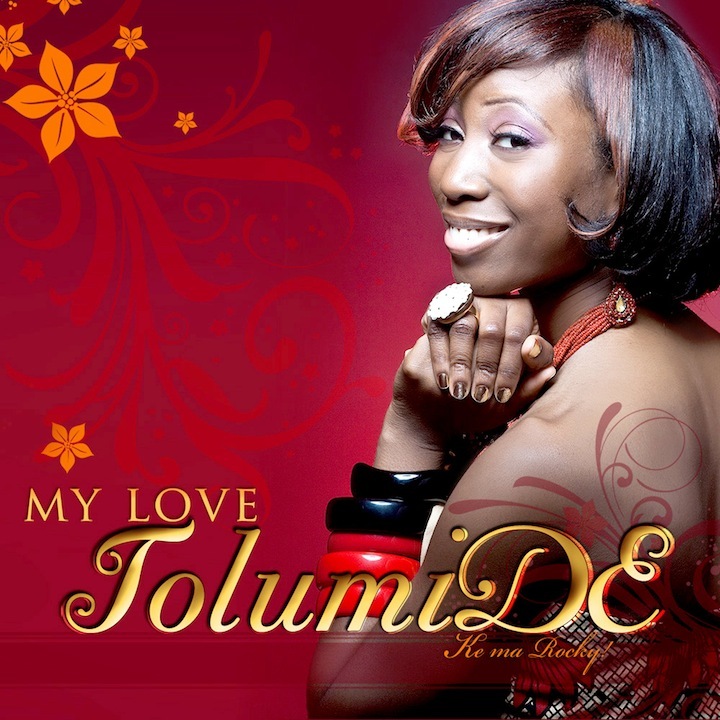 Lead Vocal by TolumiDE, recorded at X-Posure Entertainment Studios. Written by Tolulope Olumide Yeboah – TolumiDE (SOCAN) & KMC Music Factory (ASCAP) Produced by Blaise Tangelo, John Bashengezi & Tolulope Olumide Yeboah, All Vocal Production by TolumiDE. Guitar by John Bashengezi. Bass – Ngouma Lokito, Piano, Drums, Percussion & programming – Blaise Tangelo. Hype Man – Emman LeGrand. Recorded at recorded at X-Posure Entertainment Studios. Jesu Christi La gba ra – O la gba ra .. 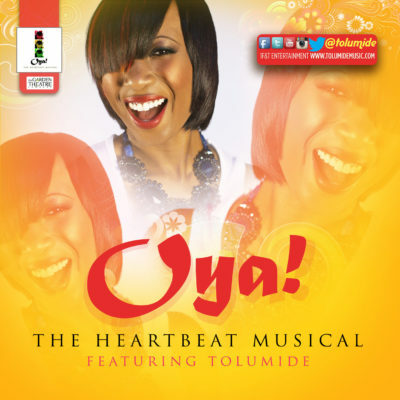 Written by Tolulope Olumide Yeboah – TolumiDE (SOCAN) Produced by Paul Nosa Asuwata (ASCAP). Vocals by Tolulope Olumide Yeboah. Written by Tolulope Olumide Yeboah (SOCAN) and Desmond Blackmoore. Produced by Terry Poindexter – Twenty Music (BMI). useful to you and all that surround me. Thanks for the gift of music and the challenges that come to make me a stronger and better person. Thanks for putting me in the path the right people necessary for this project. My Parents, Frank (my one & only), Aburos – Eniola, Adetoun, Ayotunde, Muyiwa, *Extended Family, Cousins, Aunts, Uncles, Nieces & Nephews *JHB family, *Beautiful Friendships – Love you all! Talented producers and musicians and sound engineers – Blaise Tangelo, John Bashengezi, Ngouma Lokito, Terry Poindexter, Erik Dennis, Mark Baker, Alan Gaffere, The Ogunfiditimi Brothers, Samuel Salamu, Kevin Prince, Jide Adebule, Marcia McIntrye, Abiodun Koya, Tosin Aribisala, Jumbo Ane, Cheikh Ndoye, Scott Hedges, Bukola Somide, Kofi Rozzell, Jorel Robinson, Emman LeGrand, Paul Asuwate – Your special touch, listening ears & studio spaces expanded my melodies to a master pieces. Thank-you! Final Mix & Mastering by Blaise Tangelo. All songs written and composed by TolumiDE (except where noted). Art Director & Design: Tolulope Olumide Yeboah, Photography: Daryl Brown, Make up: Tia White, Hair Stylist: Charlene Brown.